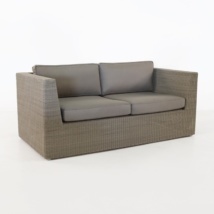 Enjoy the elegance of wicker with the Valhalla Outdoor Wicker Sofa with Sunbrella® cushions. 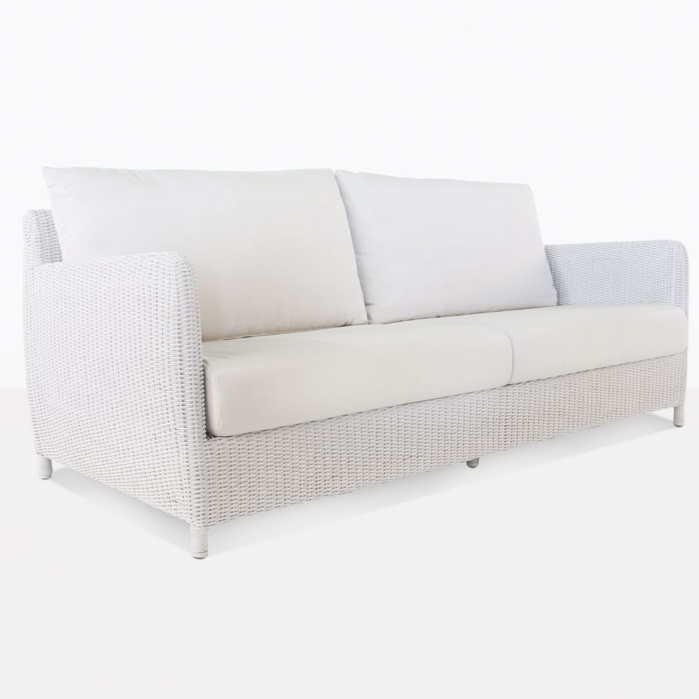 This sofa has the charm of traditional wicker furniture, yet has a contemporary edge that makes is perfect for today’s style. 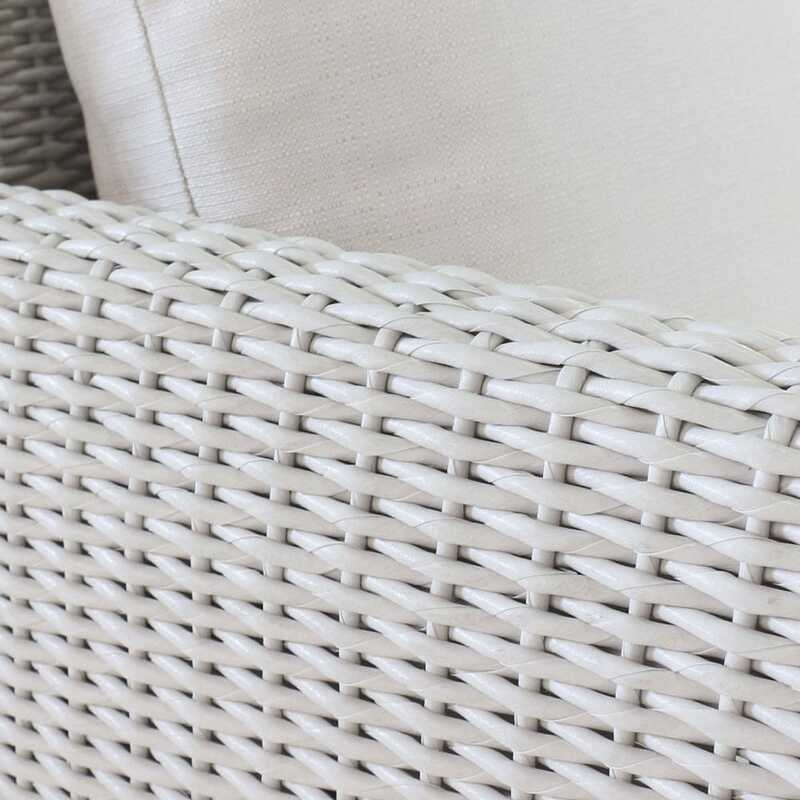 Expertly engineered wicker is woven around a powder coated aluminum frame. The detailed close up image shows amazing weave. These materials make this sofa perfect for outdoor use. 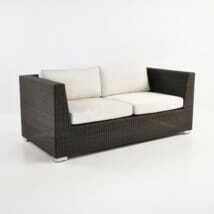 It could also go beautifully in a closed in sun room. This seating collection will transform your space into a tranquil and inviting oasis. Pair the sofa with several club chairs to create a wonderful space to enjoy with family and friends. 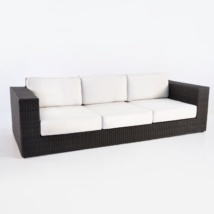 The Valhalla Outdoor Wicker Sofa comes in a lovely white wicker with canvas Sunbrella® cushions. The combination is stunning and chic. 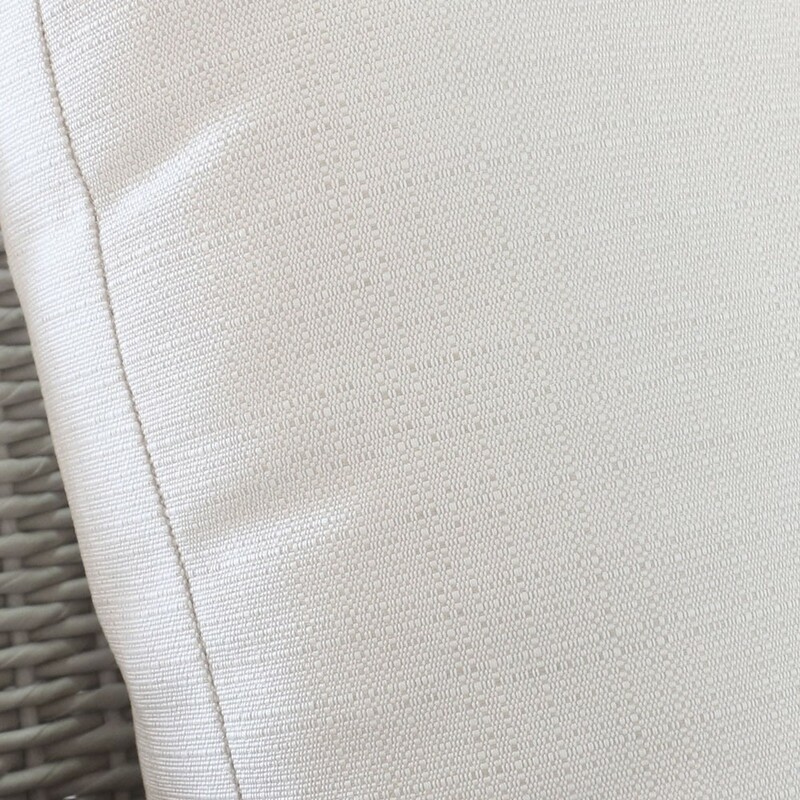 The seat cushion has the perfect amount of firmness and the back cushion is very cozy. The frame is strong and you can feel the quality of the weave. 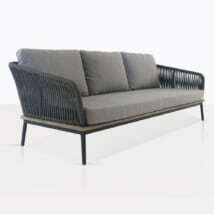 Pair this collection with an a-grade teak coffee table and let it patina to a lovely grey. 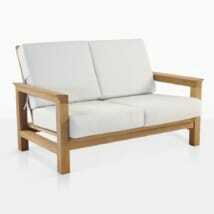 Or go a little modern and pair it with one of our concrete coffee table. We have so many different styles of coffee and accent tables that will help you complete your look. 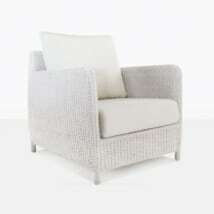 Visit one of our massive showrooms or shop online. Speak or email with one of our talented associates today.